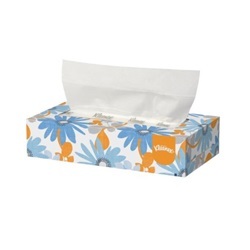 Kleenex brand facial tissues that measure 8.2" x 8.4". Tissues are white, 2-ply, and come in a flat rectangular box. Manufactured by Kimberly Clark. 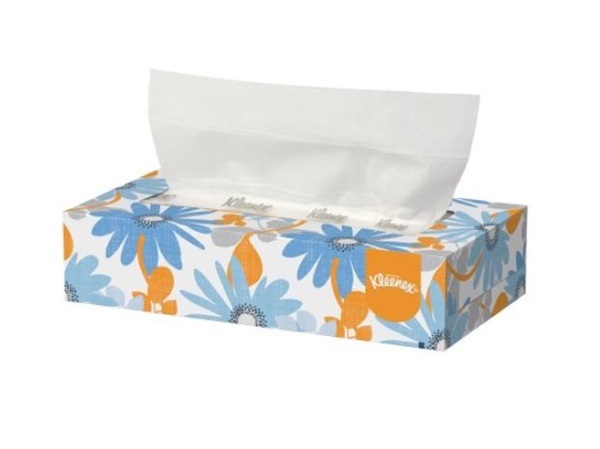 Comes 100 tissues per box and 36 boxes per case.